Cincinnati’s Ronald McDonald House means so much to our family. We will forever be deeply grateful to the House and what they did and continue to do for our family. Here is our story. During our second pregnancy, I carried identical twin girls to 36 weeks, 6 days gestation. 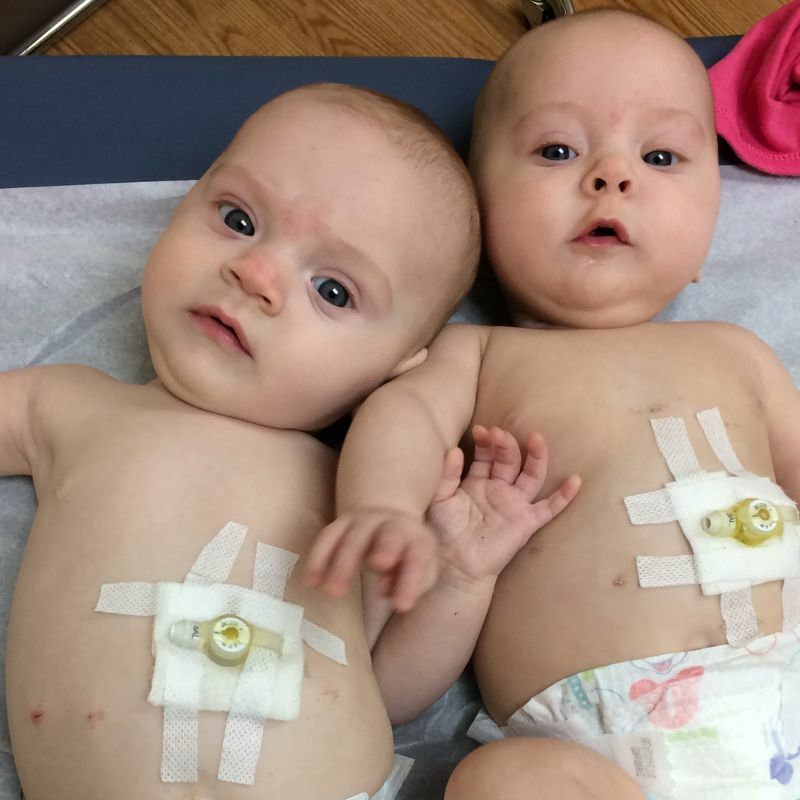 We made it 12 hours shy of our 37-week goal, which is considered full term for twins. Delivery was quick and smooth at our local community hospital. The girls were perfect in every way and did amazing after delivery. Forty eight hours after delivery, we were all discharged home and were doing well. However, at ten days old, we were notified that their newborn screen came back positive for cystic fibrosis. They are identical so they both have the same genetic mutations and the screening detected two mutations, confirming the diagnosis without even needing further testing. Both of our sweet beautiful girls have cystic fibrosis. We were immediately referred to a CF clinic and began all the normal protocols. Life was a blur but things were going ok until they both got sick. At ten weeks old, Ashlyn was admitted to the hospital. This was the first of many admissions last year. She was admitted the most, but Emmalyn had her share of struggles too and ended up admitted at times also. Between the two girls, we were admitted as inpatients 116 days total in 2018. 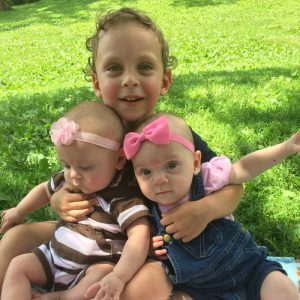 Both ended up having major surgery, Ashlyn spent 48 hours on a vent, both had G tubes placed, several times they were very sick and scared us that they might not make it to their first birthday. Between my husband and I, one of us was always at the girls’ bedside. And especially when they were very ill, we both wanted/needed to be close. Our home was an hour and a half away from that hospital and when our girls were sick, that was too far away. It was also important to us to still be a parent for our son Sully who was 3 1/2 when Ashlyn got admitted the first time. We didn’t want him to feel like we had dropped him off at a friend’s house and forgot about him. Staying at the Ronald McDonald House allowed our family to stay together. It allowed us to be parents for all three of our kids. It allowed us all to be close when one of the girls was not doing well. It allowed my husband and I to help each other. Many times, one stayed with one daughter in her inpatient room while the other would take the other daughter to a different part of the hospital for outpatient testing or appointments. And our son could spend time with both of us through it all. For a variety of reasons, we transferred our daughters care to Cincinnati Children’s at the end of 2018. For a normal person, the drive from our house to Cincinnati is three to three and a half hours. For us, with twin babies who both have medical issues, the trip usually takes four to six hours. The doctors at Cincinnati Children’s have done wonderful things to help our girls. They are both doing better and we know it is because of the care they have received recently. We also know it would not be possible for us to get medical treatment this far away without the help of the Ronald McDonald House. Both girls need multiple aerosol treatments and shaker vest treatments twice daily. We have been coming down the day before our appointments and staying at the Ronald McDonald House. This allows us to travel during the afternoon and then still do evening treatments per our normal routine. We can get a decent night’s sleep and have time to do morning treatments before our appointments. By being able to come back to the Ronald McDonald House after a long day of appointments means we can get a good meal and keep on our normal routine for evening treatments. We get some sleep, get up the next day, do morning treatments and then head home late morning. We know that we would not be able to come this far and receive the best care for our girls without the wonderful people who support Cincinnati’s Ronald McDonald House. We are forever grateful and will always hold a special place in our hearts for RMHC. THANK YOU. Last spring, just after Blake turned eight years old, his life changed completely. It was Easter Sunday when he suddenly became very sick. After some testing, doctors confirmed Blake had a form of aplastic anemia. In order to survive, he would need a bone marrow transplant. While the search for a donor can sometimes take months, Blake was lucky: his younger brother Jack was a match! 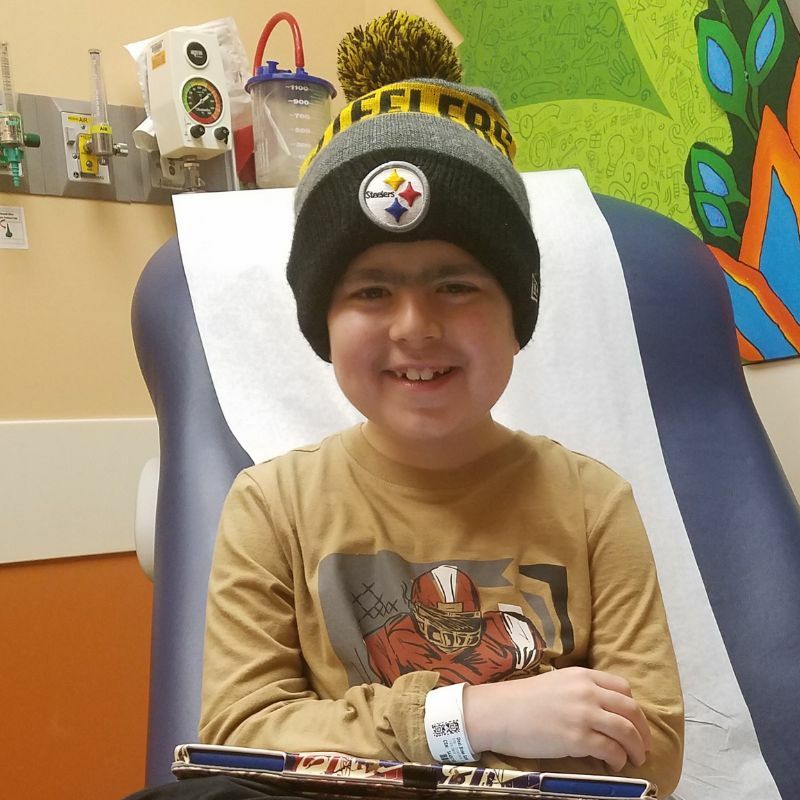 At just five years old, brave Jack gave Blake the bone marrow he needed on December 10, 2018. 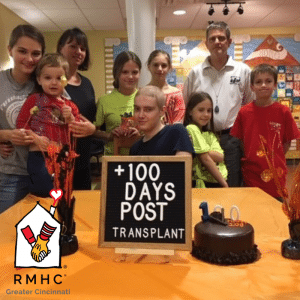 While Blake recovered from the surgery, his family received the call that a room was ready for them at Cincinnati’s Ronald McDonald House. After 11 days of waiting, they had a room just steps away from Blake’s hospital room. Since he wasn’t strong enough to leave the hospital yet, Blake’s mom, Laura, took pictures of our House to show him. Blake couldn’t wait to leave the hospital for a little more freedom, right next door. 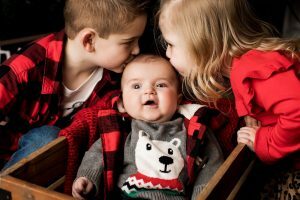 Blake received the best Christmas gift when, on Christmas Eve, doctors told him that his counts were high enough to leave the hospital and join his family in our House. Although he still needed to be isolated to protect himself from any germs, doctors knew that being with his family would help Blake heal. Blake was excited to enjoy the delicious meals, meet with our teachers, and most of all, visit with the therapy dogs. For Blake, being out of the hospital was the biggest blessing. Thanks to your support, we can keep Blake and thousands of children like him just steps away from the critical care they need. The holidays may be a time of celebration for most families, but for Garrett and his family, they spent much of it filled with fear. After being in and out of hospitals for ten years due to a rare condition, Garrett was in need of a kidney transplant to save his life. Finally, Garrett got the best Christmas gift of all from his father: a new kidney. 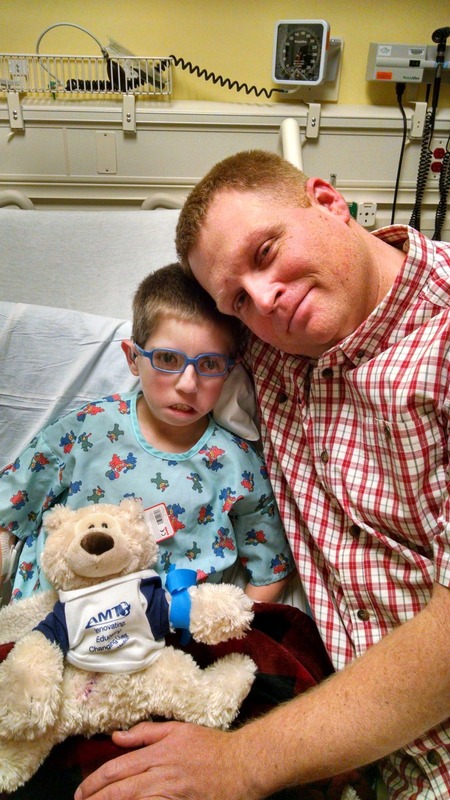 We got to know Garrett and his family as they spent the holidays recovering in a room at our House. As Garrett and his dad recovered from the surgeries, they needed to be careful about germs, so they spent most of their days in their room at our House. We didn’t want him to miss the fun of the holidays, so we made special arrangements with Santa to visit Garrett in his room. 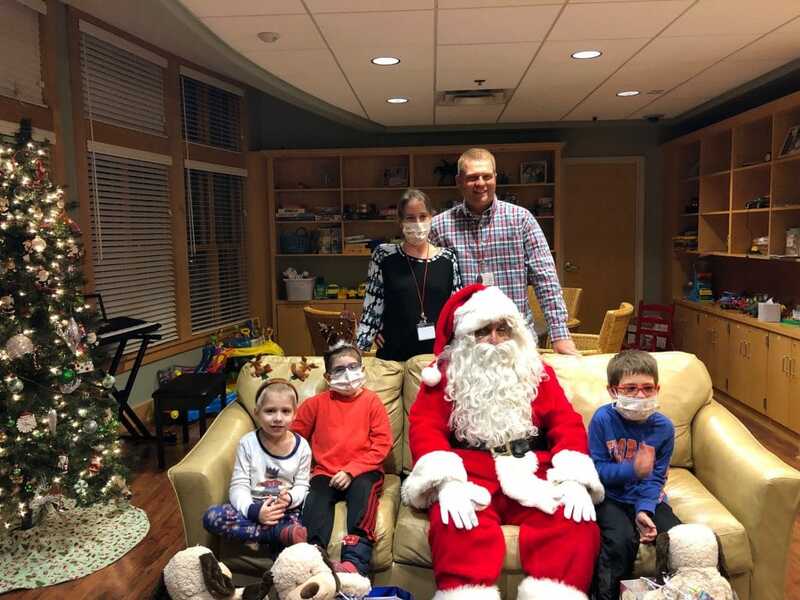 “A private Santa visit was just perfect for Garrett to stay healthy and enjoy being a 10-year-old only two weeks post-transplant,” said his mom. Garrett is a very active fifth grader at Kentucky School for the Deaf, which he looks forward to going back to soon. He also can’t wait to get back to his farm in Richmond, KY, his three younger brothers, and his chocolate lab. Because of your generous support, Garrett and his father could recover together in our House, surrounded by the rest of their family and the critical care they needed. Thank you for making moments like these possible for thousands of families! ‘Tis the season of hope, love and family. We aim to make these possible all year long for sick children like Theo. Recently, his family held a fundraiser on Facebook to honor our House on Giving Tuesday. Theo’s grandma, Michelle, wants you to know why. Read her heartfelt message here. “Theo was diagnosed with dextro – transposition of the great arteries and an atrial septal defect when my daughter was 24 weeks pregnant. This was the beginning. 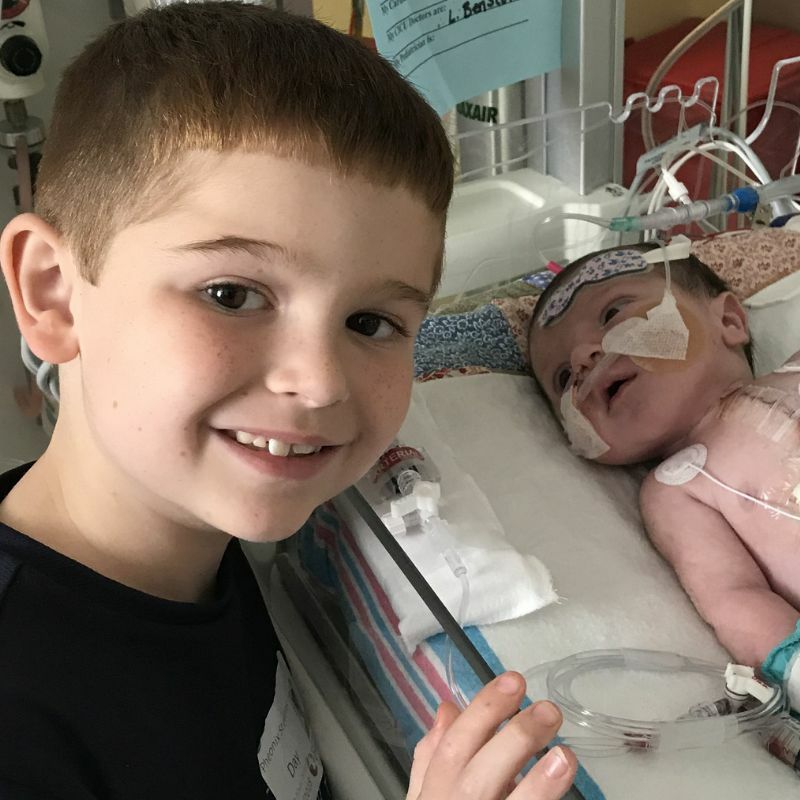 We live in West Virginia but he was going to need to be born in a hospital in Cincinnati so he could immediately be taken to Cincinnati Children’s where he would have surgery to correct this heart defect. My daughter had to move far from home when she was 36 weeks pregnant. Theo was born on the 10th of July and a few hours later moved to Cincinnati Children’s. His mom was released on the 11th of July and moved into the Ronald McDonald House. It was a very stressful and exhausting time. It was wonderful to be able to walk across the street to eat and sleep. Her husband and I took turns staying with her and bringing her older son to visit. She showered, ate and went to the hospital, came back for lunch sometimes, then dinner, hospital and around 9 p.m. back to RMH to bed. She repeated this routine for almost three weeks. The meals were wonderful, as were the volunteers and the donated gifts. Theo received at least three beautiful quilts and several handmade blankets we cherish from our time there. This was truly a blessing to be able to stay there when we already had so much on our plates. I’m so thankful we didn’t need to worry about a safe place to stay or paying for meals. On behalf of our House and thousands of families like Theo’s, thank you for giving them the comforts of home when they need it most. As the second oldest of eight children, Joey had a lot of people looking up to him. That’s why he never complained when, over the course of a few months, he began getting colds that nobody else in the family got. He grew pale and had unexplained bruises on his legs. But at 16 years old, he didn’t want to be bother, especially when his family was moving from Nebraska to Ohio. Fortunately, Joey’s mom Christen could tell that something wasn’t right. Worried about her son, Christen took him to the doctor, thinking he might be anemic. She never expected the news that doctors delivered just one hour after lab tests were done on Joey. They called her and asked her to get Joey to the emergency room immediately. He was diagnosed with aplastic anemia, a condition in which the bone marrow fails to make enough blood cells for the body. 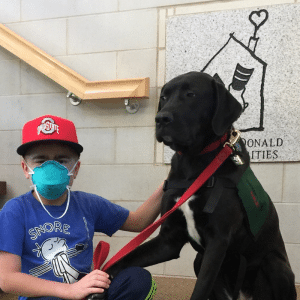 In order to save his life, Joey was life flighted to Cincinnati so specialists could begin treating his condition. He would need to undergo a bone marrow transplant. The family of 10 left their hometown of Papillion, Nebraska and traveled to Ohio. After a week of being in a hotel while Joey was in the hospital, the family knew they wouldn’t be able to maintain living that way for long. The cost, the cramped space, the potential for germs and the distance from Joey were all major problems they would need to overcome. But then the call came from our House- we had a room for them. It was the breath of fresh air that they needed. Immediately, they felt at home. They knew they would be living in our House for many months, but they could be there together, for Joey. Joey received bone marrow from one of his sisters, Lauren. 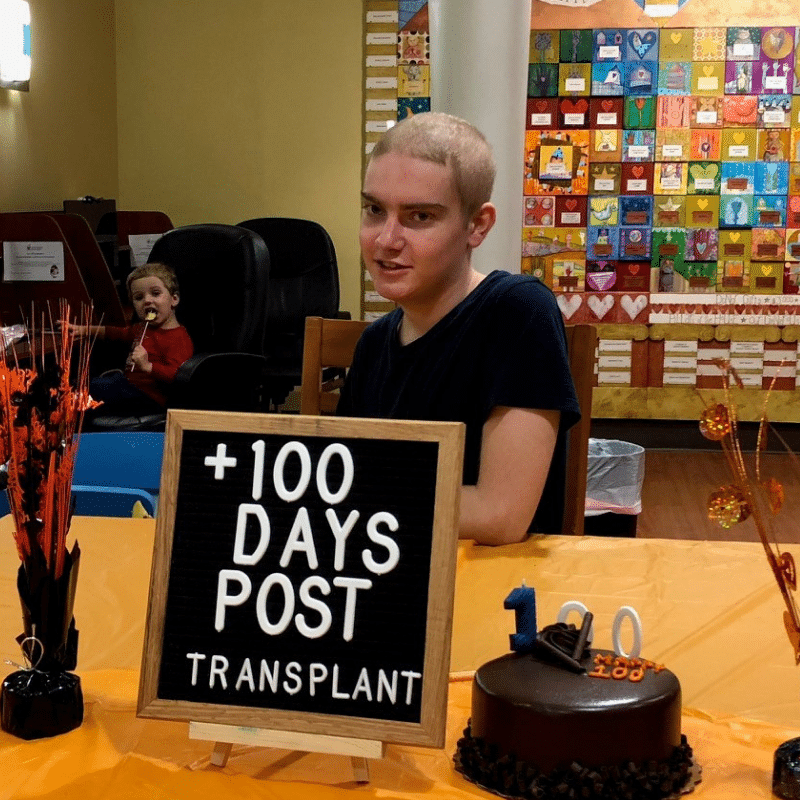 While the transplant seemed to go well at first, just twelve days post-transplant, the number of new growing cells in Joey’s body dropped to zero. Joey’s body was rejecting the donation. The family was devastated. If a sibling match is rejected, chances of any other donor matching are extremely small. Doctors were quick to find a solution, although it was considered a “Hail Mary” in terms of treatment. After a few weeks of waiting with emotions and stress running high, the cells began to grow again. It was a miracle. As the cells grew, Joey experienced a few side effect diseases that are commonly seen during bone marrow transplants. However, doctors were ready. When they prepped Lauren for the transplant, they took extra blood. As Joey worked to grow new cells, specialists exposed Lauren’s blood to different viruses, allowing it the chance to fight them off. Doctors gave Joey this blood when he began experiencing the side effects from his transplant to help him successfully fight them off. Another miracle. 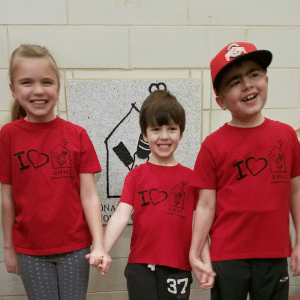 “This House helps not only Joey, but the whole family is supported. With a big family, the food is not only a convenience factor but a comfort factor. Having the House helped relieve the pressure of having to prepare, cook and clean up after meals. As a mom, I couldn’t imagine having to go through this without the House. It’s like home. It’s a tremendous help. Joey’s spirits have been lifted. He is better now that he is out of the hospital and close to his family. More than anything, this experience has left Christen feeling proud of her son. He recently looked at his mom and said, “Mom, when I get better, I want to volunteer at the Ronald McDonald House and give back.” Bursting with pride, Christen explained that Joey and all of her children have been talking about different ways they can volunteer in our House. On behalf of thousands of families like Joey’s, thank you for helping our House possible when they need us most.